The Wisconsin Access to Justice Commission is pleased to announce that a $100,000 subgrant has been awarded to the Christine Ann Domestic Abuse Services in Oshkosh to fund legal representation for domestic violence victims in that area. The subgrant proposal was developed through a collaboration between the ATJ Commission, the Christine Ann Center, the Winnebago Family Court Commissioner’s Office, and the Winnebago County Bar Association. The subgrant of STOP funds from the Director of State Courts Office will be used to help pay private attorneys who have been trained to represent abuse victims who already receive other support services from Christine Ann. The ATJ Commission worked with partners in Winnebago County to develop a project proposal that builds upon a successful all-volunteer restraining order clinic already operating in Winnebago County. It is anticipated that over 100 victims will be served by this project and it offers the opportunity to examine closely the economic, social and judicial outcomes of providing representation in these types of cases. The program is expected to be in operation by September 2015. The purpose of the Winnebago County project is to measure and evaluate the cost and effectiveness of providing attorneys to represent victims in family law cases that involve domestic violence. The funds that Christine Ann will receive are part of a subgrant of STOP funds that was previously awarded to the Director of State Courts Office. STOP, which stands for Services, Training, Officers, Prosecutors, is a federally funded grant program under the Violence Against Women Act (VAWA). 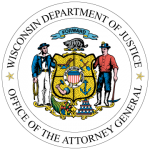 STOP grants are administered by the Wisconsin Department of Justice, its Office of Crime Victim Services in response to recommendations from Wisconsin’s STOP Violence Against Women Advisory Committee. The $100,000 subgrant will be paid over the course of the next 18 months through the Director of State Courts Office. This project, like others funded through STOP, is part of Wisconsin’s state plan for using federal Violence Against Women Act grant funds to improve the response of the justice system to sexual assault and domestic violence. Christine Ann Domestic Abuse Services is a not for profit agency serving individuals and families in Winnebago and Green Lake Counties who are struggling with the devastating effects of domestic abuse. It is the only agency providing comprehensive domestic violence programs and services in both counties. The ATJ Commission is pleased to have played a role in helping to further the goal of providing legal assistance to individuals in situations where access to basic human needs are at stake. We believe that the results of this project will demonstrate the difference that legal representation can make for abuse victims whose safety and self-sufficiency is at stake. Update 7/29/2015: This article was edited to clarify that the funds that Christine Ann is receiving will be part of a subgrant from the Director of State Courts Office, not a direct grant of STOP funds from the Department of Justice.